LAeats did a great short video on us, which we invite you to watch here! 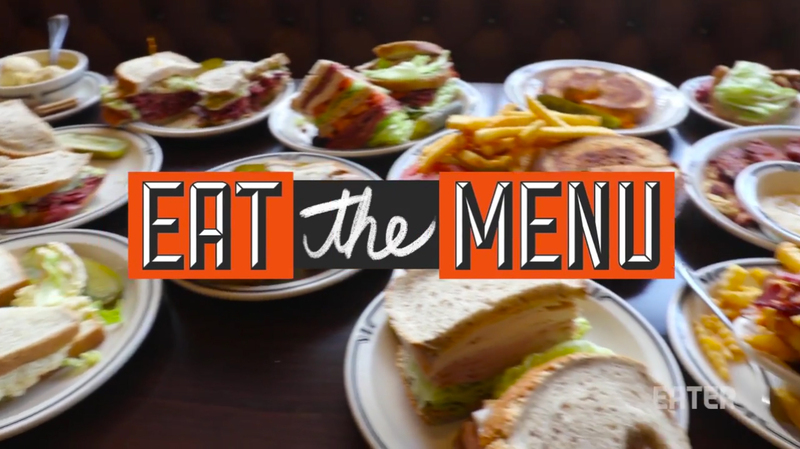 LAeats: LA Legends – Langer's Delicatessen from LAeats on Vimeo. Los Angeles Insider: Is LA Home To The Best Pastrami In America? https://www.langersdeli.com/wp-content/uploads/2018/08/Screen-Shot-2018-08-24-at-12.35.57-PM.png 888 901 Langer's Deli https://www.langersdeli.com/wp-content/uploads/2013/04/langers-0914-logo.png Langer's Deli2018-08-24 10:39:432018-10-15 08:38:30Los Angeles Insider: Is LA Home To The Best Pastrami In America? We are proud to be a part of this new Grubhub 2017 highlights video showcasing how Grubhub restaurant partners can be a part of something bigger than ourselves. We hope you enjoy it (watch all the way to the end!). We were thrilled to play host to Nick Hardwick of the Los Angeles Chargers. Nick’s new program is designed to show Chargers fans from San Diego as well as Los Angeles places to visit when they come to town for game weekends. (Remember, we’re closed Sunday, but fans will be at the game anyway! Visit us Saturday for all your tailgate needs!). LAPD Chief Beck sits down with CBS2’s Pat Harvey at Langer’s Delicatessen to discuss current policing strategies. Above is the full-length interview. This is a shorter version that aired earlier. WOW super excited about the first Eater “Eat the Menu” video starring Farley Elliot and filmed by Stan Lee – imagine eating this much Langer’s in one sitting! Farley did it! Click the link below to watch the video now! We’re so thrilled with this wonderful new video from the fine food folks at Tastemade.com. We think you’ll enjoy it as much as we did – thank you again, Tastemade! Norm Langer appeared this morning on KTLA 5 Morning News, discussing the now-legendary gentleman’s bet between LAPD Chief Charlie Beck and NYPD Commissioner Bill Bratton over the Stanley Cup Finals. He brought in food for the entire crew (including hosts Frank Buckley and Jessica Holmes) and we gave away 10 $100 Langer’s Gift Certificates by texting “Langers” to 515151(or enter at ktla.com/contests). Our sincere thanks to everyone at KTLA for hosting Norm so graciously.